The Henley Apartment Boat has been exclusively designed for MetroFloat by an experienced design agency, with the brief to devise a layout that provided wonderful living accommodation for relaxing and entertaining friends. In turn, it has been built by a skilled professional team with many years of commercial experience using materials carefully selected for their quality, durability and resistance to sunlight and scratching. This high specification of fittings and finishes results in a truly luxurious home. 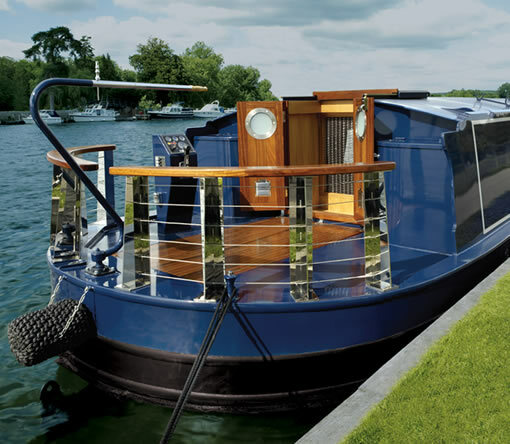 The cruiseable and moveable nature of the Henley Apartment Boat means that you can take the boat to a new location for a weekend away, or on a more permanent basis should work dictate.